With seating for up to 300 people, this can host from a cinema/movie nights, live performances, lectures, worship sessions and more. Standard sized Sports Hall with all the National Level requirements where it's multi-purposed for most sports. With a capacity of 150 and a stage setting that can be purposeful to anyone wanting to have a team meeting, worship session or otherwise, this is the perfect space. It can also be cleared for full floor space use. A vast open space for most events involving dinner, dance and live performances. Exclusively located at the building reception area with superb lighting in and out. Large state-of-the-art Auditorium with a seating of 300, can make your event the talk of the evening. Fully equipped with modern day technology and lighting and comes with the hire of our highly qualified AV technician. At the Bridge, you’ll be blown away by what the facilities we have to offer. With a state of the art performance theater, full sized lecture hall, spacious dining, modern classrooms, an all-purpose sports hall, 36 car park spaces, recording studio and a magnificent Central Square atrium, there is no question the events you can host. Conveniently located in Hackney, close to Shoreditch, Liverpool street, and Dalston, the venue also offers excellent transport links with nearby stations Haggerston, Hoxton, Liverpool Street and Dalston Junction. Facilities available from 6pm on weekdays and practically all day on weekends (times negotiable). 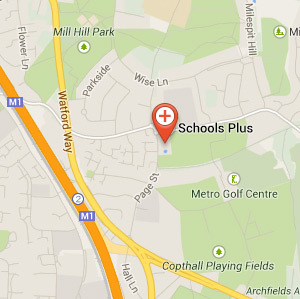 Schools Plus is pleased to be operating at The Bridge Academy from September 2015. With some amazing facilities for hire, you can host anything from a sporting event to a classroom learning session, dance class, karate grading, or worship. At affordable rates, there’s no question whether each facility will live up to its’ value. So look no further, your East London venue is ready for hire. Feel free to get in touch.